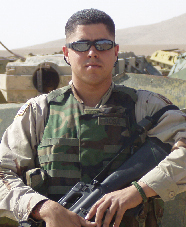 U.S. Army Corporal Andres Rosa joined the military in 1999 out of Fort Benning, Georgia and served for more than a decade before medically retiring in February of 2011. Corporal Rosa was severely injured while on a mission in Kabul, Afghanistan in a severe vehicular accident. He suffers from lumbar intervertebral disc syndrome, fibromyalgia (chronic pain), sleep apnea, PTSD, a traumatic brain injury (TBI) and hearing loss. For his service to his country, Corporal Rosa has been awarded the Army Commendation Medal, Army Achievement Medal, Army Good Conduct Medal (2x), National Defense Service Medal, Global War On Terrorism Service Medal, Army Service Ribbon and the Basic Aviation Badge. Corporal Rosa and his two daughters will receive a mortgage-free home in Vero Beach, Florida in July of 2017.